Jesse Chavez signed a two-year, $8 million deal with the Rangers. 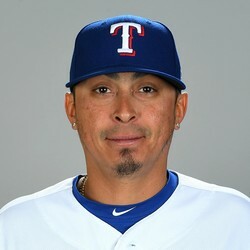 Chavez started the 2018 season with the Rangers before being traded to the Cubs at the deadline. He was a solid multi-inning RP for Texas prior to the move, but he really turned it on down the stretch with Chicago. He posted an ERA and WHIP of 1.15 and 0.795 with 42 strikeouts over 32 appearances spanning 39 innings for the Cubs. Some of his fantasy appeal last season was as a SP-eligible RP, but he will only be considered a RP in 2019 given all his appearances were out of the bullpen. He did record five saves in 2018, four with Chicago and one with Texas, but he is likely not going to enter the season as anything more than a late-inning arm, limiting his relevance for fantasy purposes.